Our round porcelain ornaments are unique and adorable keepsakes and gifts, perfect for holiday seasons. 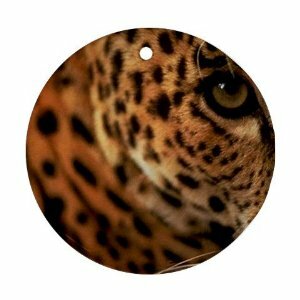 The Leopard image is imprinted into tile surface using a heat sublimation technique that creates a permanent imprint that won’t rub or wear off. The round ornament measures 2 7/8″ in diameter, including a decorative hanger.